My 11 year old niece flew by herself to her Grandparents (my parents) house for the first time. 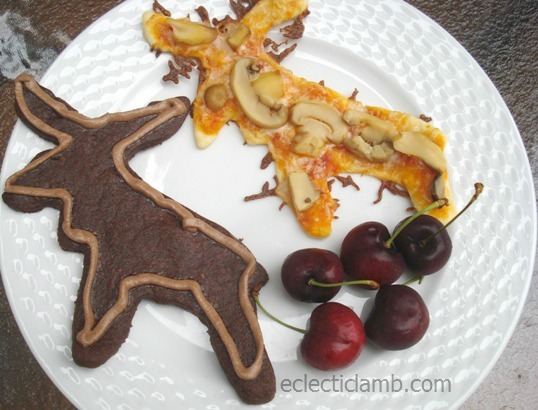 Of course I was there to make a moose themed pizza dinner in her honor. The moose pizza had tomato sauce, mozzarella cheese, and some moose had mushrooms. My niece requested shaped pizzas because she enjoys my tradition of making shaped pizzas for Christmas. I looked through my extensive cookie cutter collection and decided on my large moose cutter. I got this cutter a long time ago on a business trip to Minnesota (bought it at the Mall of America). This was my first time using it. I used this recipe for the moose cookies. I used a plastic sandwich bag and cut off a small corner. Then I piped the outline of the moose. I used a basic butter and confectionery sugar frosting with some cocoa powder. This entry was posted in Food and tagged animal, dinner, vegetarian. Bookmark the permalink. Thank you! It was a fun dinner. Those cookies look yummy! I have a really large moose cookie cutter too, it doesn’t make it out much as it is too big to cut a slice of bread. Thank you Jean! Since I could not use if for bread I thought about pizza and cookies. 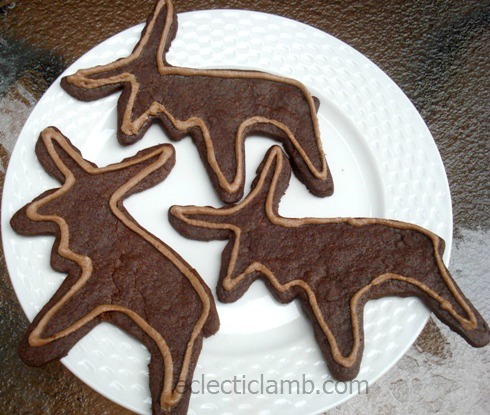 This is the first time I’ve seen moose cookies…..those are awesome!!! They sound yummy, too. 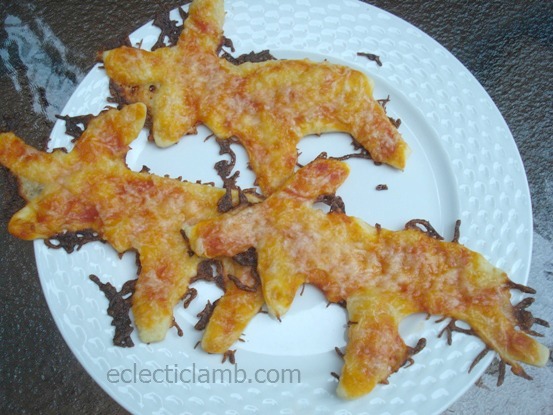 Brilliant use of the moose cutter, those pizza’s look delicious! Lucky niece!